Steven (Chicagoland, United States) on 20 December 2012 in Landscape & Rural and Portfolio. 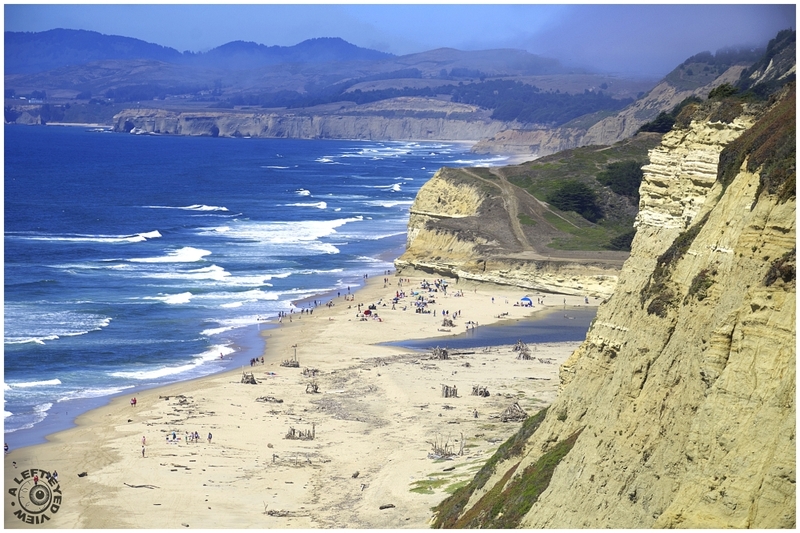 View of San Gregorio State Beach from the Pacific Coast Highway. Photo captured August 18, 2012. New photos posted on most Mondays through Thursdays. All photos are copyrighted and may not be reproduced or distributed without my expressed, written consent. quel site grandiose ! very beautiful. Wonderful view and that very good mix of the blue and yellow contrasts which I so like. You found some amazing places on this trip. This is so beautiful. Wow ...So high !! Superb ! Wunderbare Übersichtaufnahme von diesen schönen Ort. Sure looks a good place to escape to . .
Great view from up there.. Such an expansive view - love those waves lapping toward the shore. a splendid shot, well balanced all around bravo! Fabulous contrast between the blue sea and the yellowish cliffs! Impressive image and POV of an impressive place. Amazing view of this beautiful spot; a very attractive photo! apparently a very popular place, and not surprisingly so! the hues and tones in the distance are gorgeous !!! What a spectacular point of view. The color of the water is amazing. Incroyable ! Les personnes comme des fourmis ! Grandiose ! Awesome clarity and beauty in this shot, Steven... and wow what a POV. Alright, where is this??? I don't know it. Fantastic share! Geat shot. I just looked it up, 10.5 miles south of Half Moon Bay. Guess, I have to go there now. Absolutely beautiful! The colors are gorgeous! Wonderful POV! It's fun to see so many people on the beach ... and the proverbial west coast fog/smog. Beautiful place and a beautiful point of view. So beautiful landscape. Beautiful vivid colors.